This is a new printer for me and I am ordering replacement cartridges for the first time. The reference on the cartridge is PGBK-PG580. I can not see anything about XXL, yours say XXL is that a different size of cartridge which will not fit my printer?? Or what does it refer to? Hi Andrea, thank you for your question. I am happy to tell you that the Compatible Black Extra High Capacity Canon PGI-580PGBKXX Ink Cartridge is the correct item for your Canon Pixma TS6150 printer. The XXL simply refers to the fact that there is more ink inside the cartridge compared to the standard and high capacity cartridges. The casing of the cartridge is not bigger due to this fact. Dear Dianne, thank you for your question. The Canon PGI-580BK Cartridge is 11.2ml and is a pigmented ink (which is used typically by those using matte paper or wanting particularly high quality printouts). The Canon CLI-581BK is 5.6ml and uses ChromaLife100 ink. Basically the Canon PGI-580BK Cartridge is a richer, higher quality ink than the other cartridge. If you do need any further information do not hesitate to contact us. Good morning, Do you, or will you in the future, stock compatible ink cartridges for the Canon TS6150? (I see you stock them for the TS6050 but not the TS6150). Thanks very much. 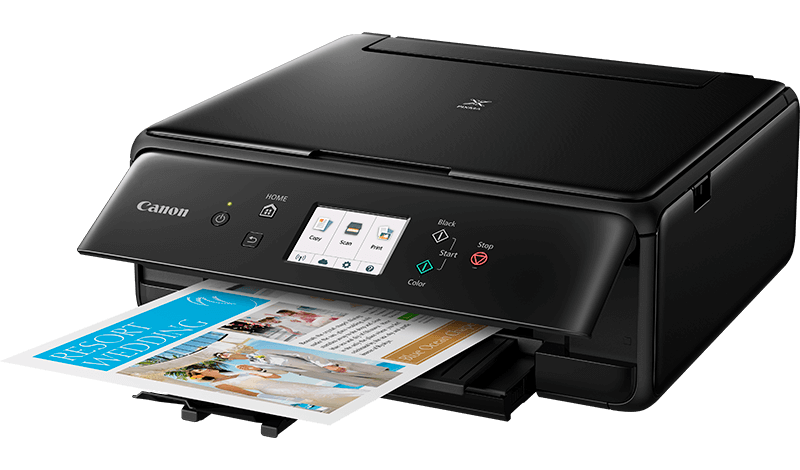 The Canon TS6150 is a three-in-one printer that not only prints, but scans and copies too, which makes it suitable for a small office or home use. The inkjet colour technology helps to produce a resolution of 4800 x 1200 dpi and utilises both colour and black ink cartridges. The printer is capable of a high yield, however it will be necessary to purchase the expensive higher yield ink cartridges if a large volume of prints and copies is needed. The Canon Pixma TS6150 has dimensions of 37.2 x 31.5 x 13.9 cm (when none of the trays are in use), to create a neat little machine. It comprises a flatbed and scanner to help create the two-sided copies that are possible with this model of the Canon series. With the Canon Pixma TS6150, it is possible to print from a smartphone or tablet and to scan to devices using the Canon PRINT app. Besides Wi-Fi, it can also connect via Bluetooth or the cloud. There is also a USB port for a direct connection. It accommodates a range of paper types and sizes, with the maximum being 216 x 297 mm, and can produce a maximum of 99 copies. It can also complete two-sided documents and borderless photos. There are five ink tanks in the Canon TS6150 to accommodate pigmented black and standard black in addition to cyan, magenta and yellow, which can get expensive. The standard pigment black has an A4 plain paper yield of 200 pages, but this increases to 400 with XL and 600 with XXL. It will be necessary to ensure that the XL and XXL are obtained for high yield requirements.